Sometimes, we get so focused on the actual day of <a href="http://www.inhabitots.com/6-last-minute-christmas-crafts-to-keep-kids-busy/">Christmas</a> that we forget to enjoy the whole month of December. An <a href="http://www.inhabitots.com/top-ecoadvent-calendars-for-green-families/">advent calendar</a> is a fun way to celebrate each day of the month, and also get children excited about the upcoming holiday. Right after Thanksgiving I unpack all of our holiday books and place them in a large stack on our coffee table. However, this year I want to make sure that every single one of those <a href="http://www.inhabitots.com/5-best-board-books-for-independent-reading/">books</a> gets read together as a family. 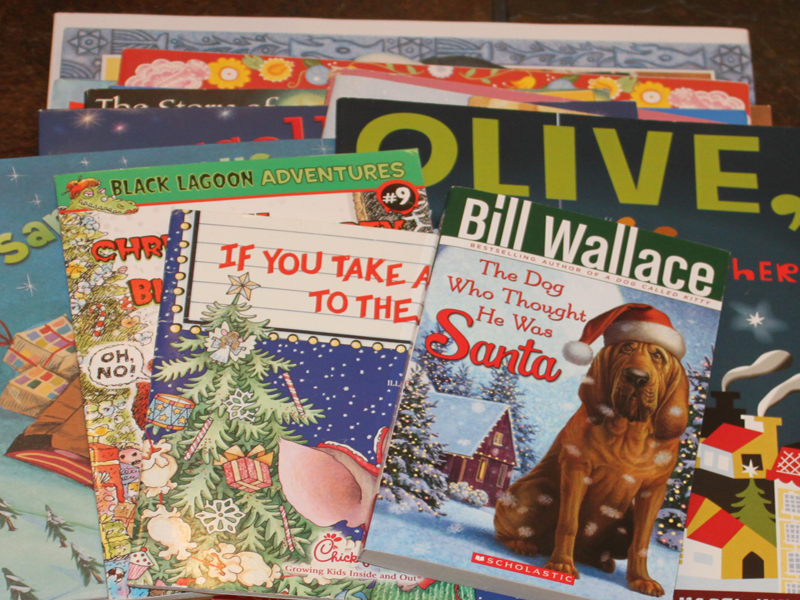 So I made a simple advent calendar using these books along with a few others that I picked up from our local thrift store - all holiday themed. This way, we can celebrate each night in December with a new festive bedtime story. 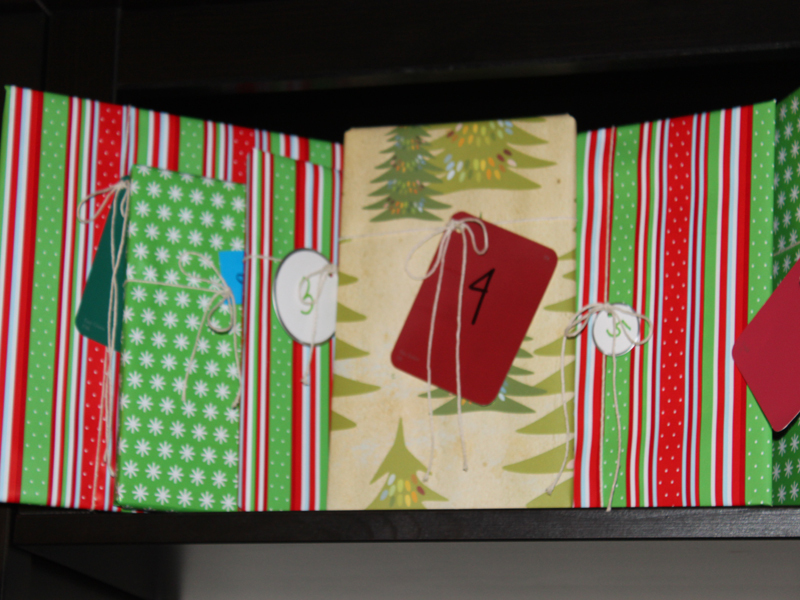 Read on to learn how to make this simple, eco-friendly advent calendar for your children. <h2>Step 1: Collect Your Books</h2> I was surprised to see that we already had almost a dozen holiday <a href="http://www.inhabitots.com/5-best-board-books-for-independent-reading/">books</a> in our library. For the other half of the books, I scoured our local thrift store for gently used books and then picked up a handful from the library to include. 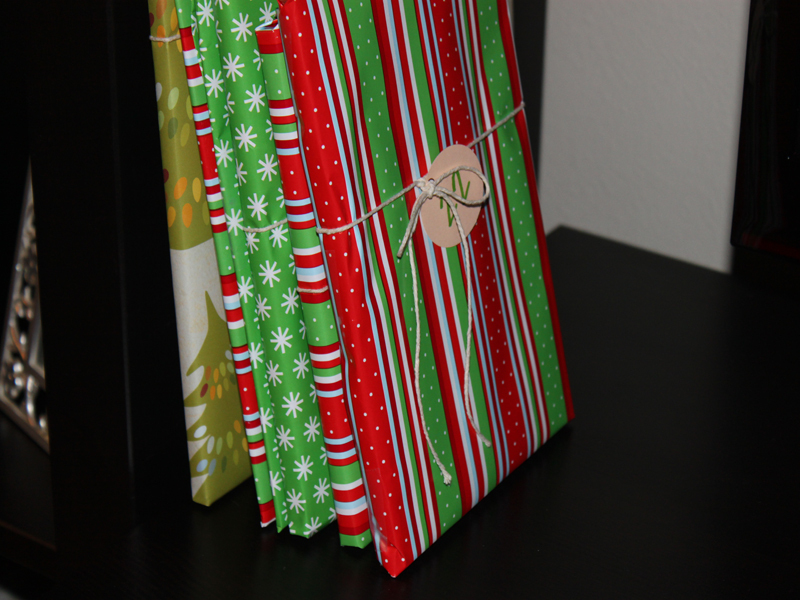 <h2>Step 2: Wrap the Books</h2> Choose a few <a href="http://www.inhabitots.com/kid-friendly-earth-friendly-holiday-gift-wrap/sustainable-wrapping-paper/">eco-friendly wrapping papers</a> and wrap each of the books. <h2>Step 3: Tag the Books</h2> <a href="http://www.inhabitots.com/how-to-make-recycled-holiday-gift-wrap-and-tags/">Using leftover paper scraps</a>, cut out 25 tags to tie to your books with twine (one to signify each day from December 1st to Christmas. 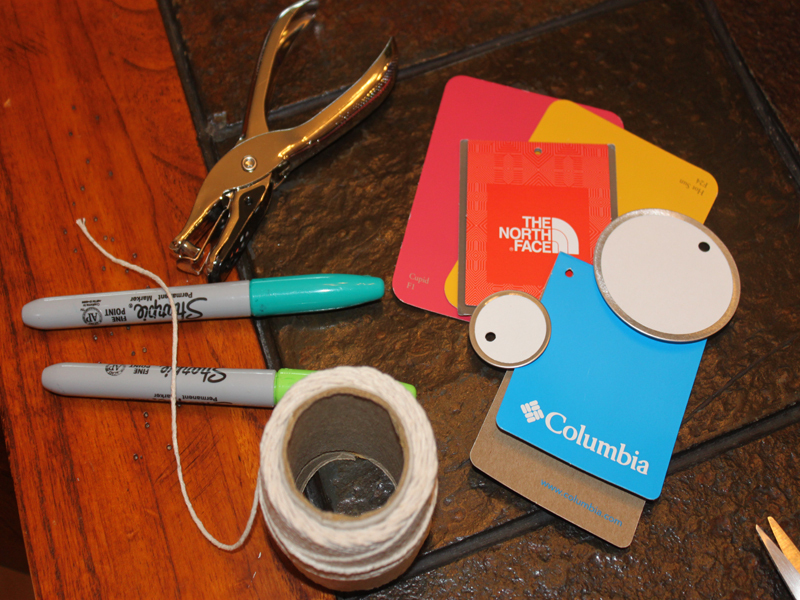 I used an assortment of clothing price tags, leftover paper, paint chips and supplies from my craft closet for the tags. <h2>Step 4: Display the Books</h2> Find a fun place in your home when everyone can see the books lined up from 1 to 25. <h2>Step 5: Enjoy Reading Together Each Night in December</h2> Our book <a href="http://www.inhabitots.com/top-ecoadvent-calendars-for-green-families/">advent calendar</a> is all ready to go and is on display in our family room. Every time my son walks by, he asks me how many more days he has to wait! Once December 1st hits, each day your child gets to unwrap the book that corresponds with the date. As the stack of books gets smaller, you'll know the big day is getting closer. 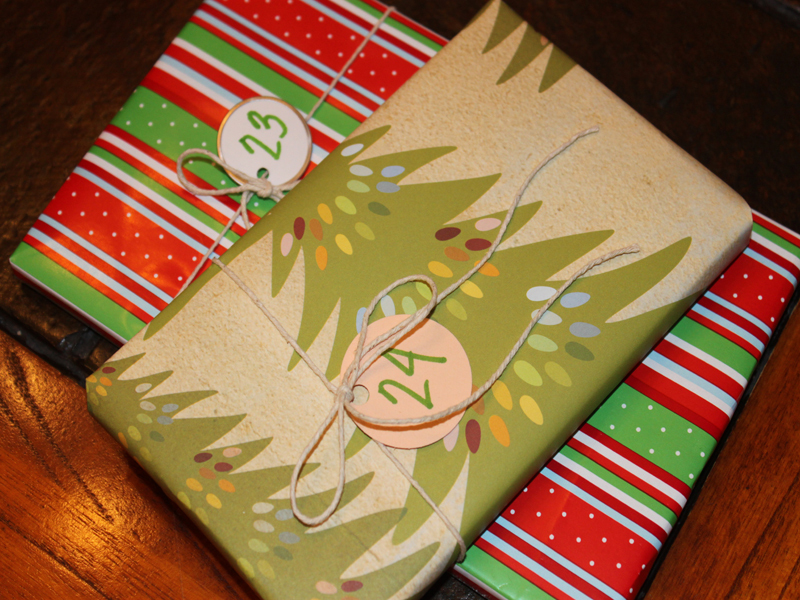 Hint: encourage your child to unwrap the books carefully so you can reuse the same wrapping paper for next year's advent calendar or for a holiday gift this year. Sometimes, we get so focused on the actual day of Christmas that we forget to enjoy the whole month of December. An advent calendar is a fun way to celebrate each day of the month, and also get children excited about the upcoming holiday. Right after Thanksgiving I unpack all of our holiday books and place them in a large stack on our coffee table. However, this year I want to make sure that every single one of those books gets read together as a family. 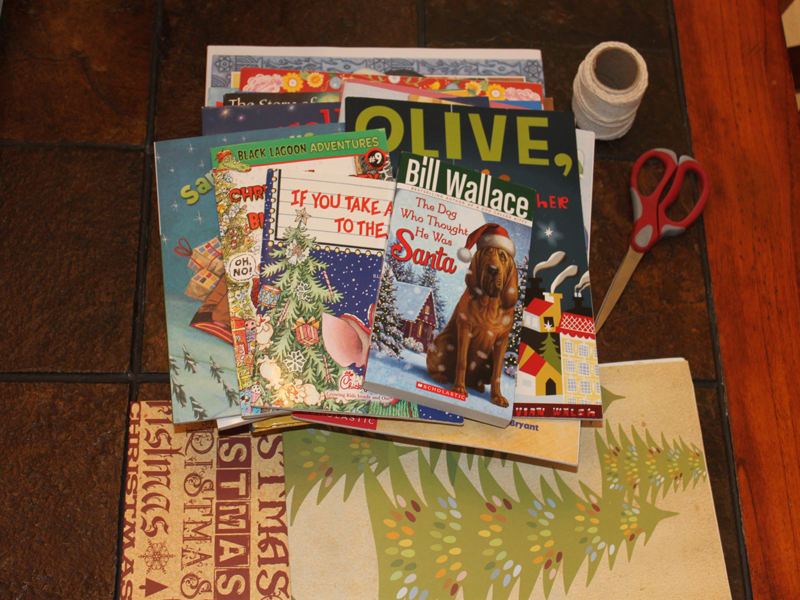 So I made a simple advent calendar using these books along with a few others that I picked up from our local thrift store - all holiday themed. This way, we can celebrate each night in December with a new festive bedtime story. 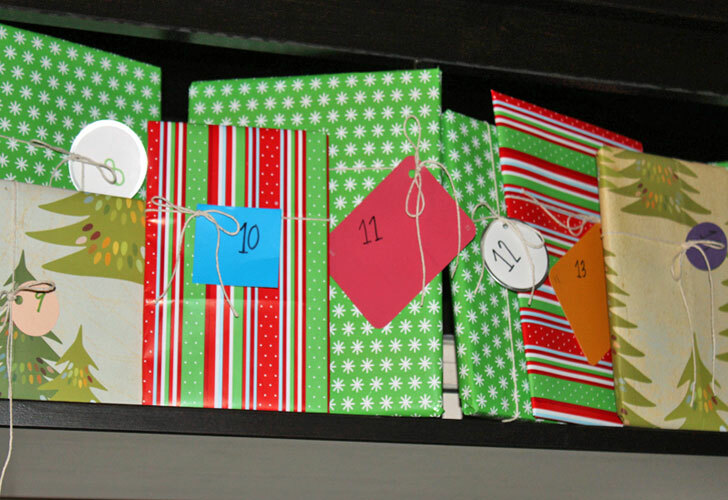 Read on to learn how to make this simple, eco-friendly advent calendar for your children.